Food production would not occur without productive, living soils. MANHATTAN, Kan. – From field crops to garden vegetables, various types of foods rely on soil for growth. The world population continues to grow, and one of the main challenges those involved in agriculture face is increasing the overall productivity of soils to meet elevated food demands. In the K-State soil-testing lab, scientists routinely examine soil samples for many different nutrients; nitrogen, phosphorus, potassium, zinc and sulfur are among the most common, as these nutrients are all essential for plant growth, said David Mengel, K-State professor of agronomy. Soils are an important source of nutrients for all crops produced in Kansas and beyond, he said. Scientists can make recommendations on what nutrient adjustments are needed, based on findings from soil tests. In addition to enhancing soil nutrients naturally, farmers can also apply nutrients in other forms, including using fertilizers, animal manure and waste products from cities and industries. Ruiz Diaz said another important way to enhance soil nutrients naturally is through crop rotation. Especially in a state such as Kansas, which has a productive agricultural system that includes many different crops for both human and animal consumption, a systematic approach of deciding which crops to plant year-to-year becomes important. Different crops use different amounts of water and nutrients, which can affect the soil balance. With the use of cover crops, which are crops planted specifically for erosion management and to enhance soil fertility, soil quality and water infiltration, farmers strive to increase soil and environmental health. Cover crops can add nutrients to the soil both at the surface and below the surface through their valuable root systems. Another important function of soils is to store water that plants need for growth. 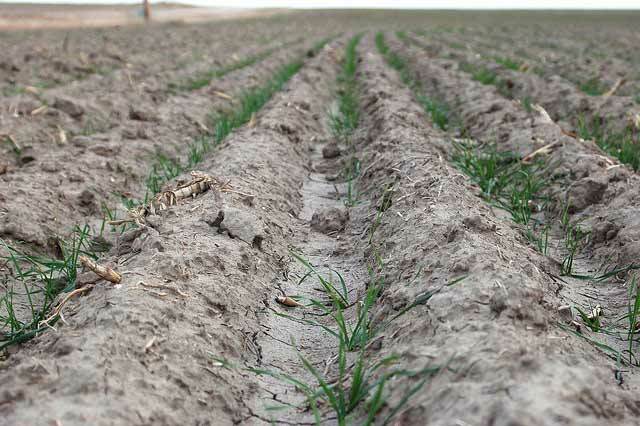 Although many areas of the United States, including parts of Kansas, don’t receive much rainfall annually, soils used for food production have the capacity to hold large quantities of water to help make up for rain shortfalls. Mengel said farmers can help the soil accept and store water in many ways, including conservation tillage, which is used to keep the surface of the soil covered with crop residues to enhance the infiltration of water and reduce runoff. An increasing number of farmers are using a no-till system, Ruiz Diaz said, which means they intentionally do not mix and disturb the soil prior to planting. This helps maintain residue on the soil surface and capture more water. Another alternative to no-till is a minimum tillage system, sometimes called strip-till, where farmers only disturb a small amount of soil to place the seeds, nutrients and fertilizer. A strip-till system, although it does disturb the soil to some degree, can provide a balance between a good seedbed and soil protection with residue cover. In addition to conservation tillage practices, farmers can also produce crops that are known to use less water, Mengel said. This is especially helpful for Kansas farmers who experience drier conditions, particularly those in western areas of the state. For more information about soils and agricultural production, contact your local extension office or visit the K-State Research and Extension website. To watch the video interview with Mengel and Ruiz Diaz, go the K-State Research and Extension YouTube page. The Soil Science Society of America has resources for the public, teachers and children about soil and each monthly theme for the International Year of Soils.